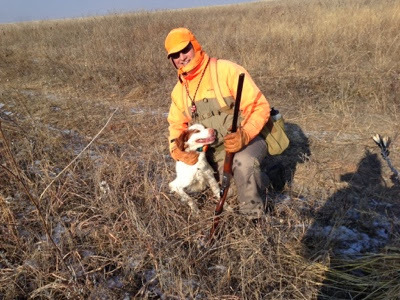 A Bird Hunter's Thoughts: Late Season Pheasant Hunt or Who Needs a Therapist? I Have a Dog! 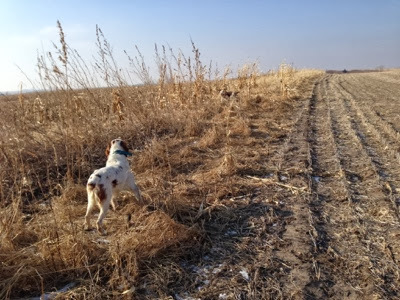 Late Season Pheasant Hunt or Who Needs a Therapist? I Have a Dog! Scott got one of my puppies, by Ace, and I delivered him, El J, in November. 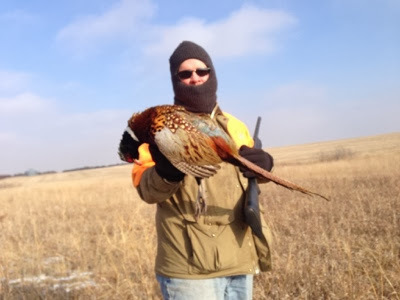 While I was there, we went out and hunted a little bit. 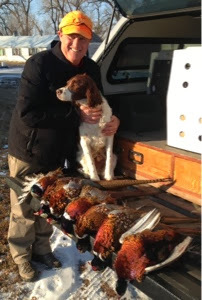 His Brittanies are very nice, well conditioned, well mannered in the field and a pleasure to hunt behind. I managed to invite myself back a few months later...."Hey, Scott, I'm passing by your place in a few weeks, how about we take the dogs out a bust a few roosters?" I got there on the heels of the worst arctic blast in 20 years and it was still pretty cold. But the skies had cleared and we set out with our dogs to find some late season survivors. These are the tough, smart ones. 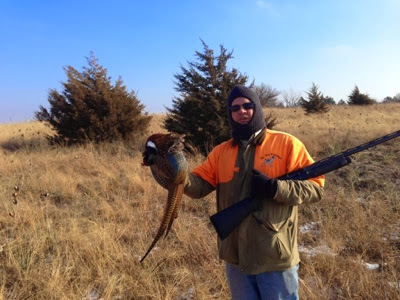 Scott holding a fine specimen of a harvested rooster. 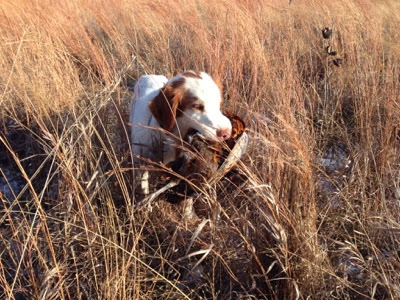 Champ makes a nice retrieve. They did lead us on a merry chase a few times, I'll concede. 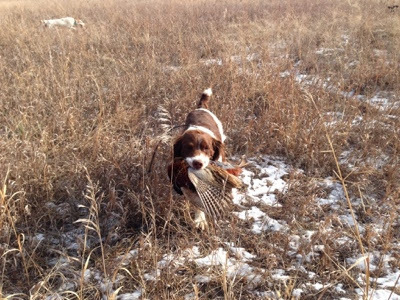 In the end, the dog noses and experience put us in a position to harvest some birds. It was a cold one. To be sure! Ace and me and the harvest. Today the forecast is for snow/rain mix and 10 mph wind from the south. Perfect.